A refutation of my own fifth article on Baptism and Hermeneutics. I decided to combine both articles 4 and 5 in this one refutation since both of those articles deal with Positive Institutions (parts 1 and 2). The gist of those articles surrounds the exhortation to concede that the Scriptures, and the Scriptures alone, are the hallmark of the Reformed; Sola Scriptura. I still agree. However, my articles asserted that Paedo-Baptist theology is implicit, where Credo-Baptism is explicit. This was my wielding axe to chop the Paedo-Baptists theories down into oblivion. At the beginning of those articles I said, “Paedo-Baptists claim their theological stance for binding the faith of Christians in the practice of baptizing infants through the reasoning of deductions and implicit ideas which they claim are in the Bible. However, they do this at the expense of the explicit Scriptures which specifically teach believer’s baptism, a subsequent practice which they do not deny. However, their implicit deductions are taken and used to overshadow the explicit instructions of the positive institutions for the New Testament church. Infant Baptism takes precedence over believers baptism since those who were baptized as infants have no need, according to the Paedo-Baptist, to be baptized again after they come to saving faith. They simply realize what they already had.” This is a jumbling of my previous Baptist Theology and is really a convoluted mess. First, Paedo-Baptists do not merely rest on deductions for Infant Baptism. They rest on exegetical work done faithfully on the text, and then make conclusions about what the text has told them to believe. Good and necessary inference may be a part of this, but not necessarily so. 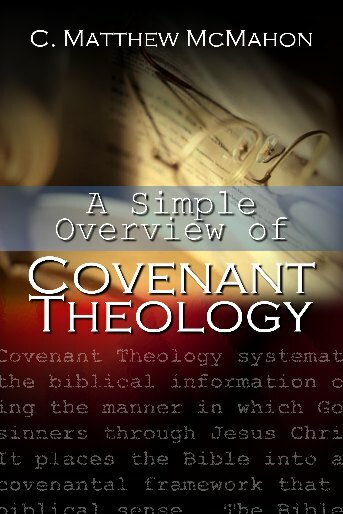 Secondly, they do not rest on implicit ideas, but explicit commands concerning and surrounding Covenant Theology. Thirdly, there are no explicit Scriptures teaching Credo-Baptism, as much are there are no explicit Scriptures teaching Infant Baptism. That does not mean the Scriptures, when compiled and deduced from, will not give us the proper context of either Credo or Infant Baptism. 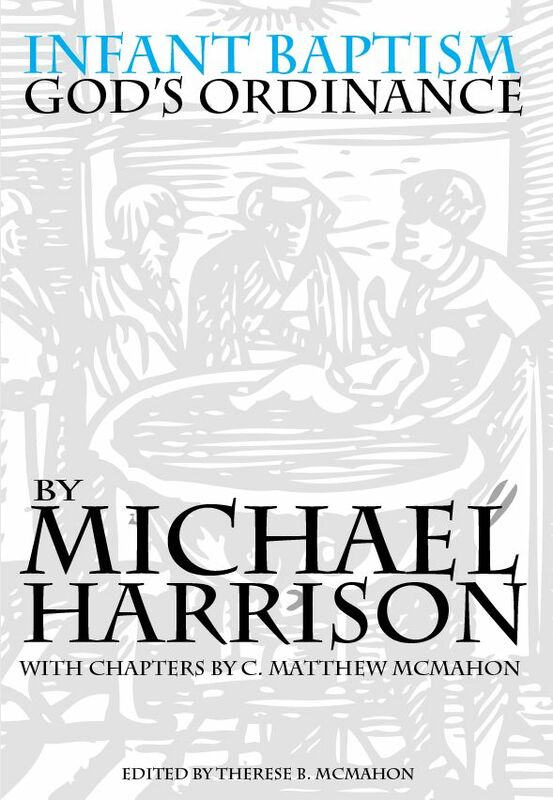 However, it must be stressed that no one particular Scripture states, “Baptize only those who have believed and repented, and make disciples of them and them alone.” Nor are there texts that say “Baptize infants as well as those who are converted believers.” In both instances a case must be made from deducing from the compiled texts the form of baptism. I make a very important blunder here when I say that Paedo-Baptists argue implicitly from the text and Baptists argue from explicit texts. This is simply not the case at all. Nor is it true that Paedo-Baptists are overshadowing the explicit texts on baptism because they believe all those texts to be true and do hold to the reality that those who are repentant and professes conversion should be baptized if they had not been as an infant. This is as true for a circumcised Israelite as it is for a Baptized “Israelite.” Jacob, coming to faith, could not have been, nor should even think about, being circumcised again. So arguing with Paedo-Baptists with implicit/explicit terminology simply proves that the Baptist is not thinking about his position and the exegetical work it took him to reach that position. Next, I made the assertion that Paedo-Baptists think the Apostles had no need of a positive sanction in order to baptize infants. I should have said it like this: the Apostles had no need of a positive sanction in order to continue the inclusion of infants in the covenant because they have always been included in every covenant through the history of redemption. This is a different statement altogether and does not allow for looking up baptism Scriptures in the New Testament as a remedy or answer to the question of Infant Baptism. Then, I make reference to applying “logic” to the revelation of Christ and His atonement. In summary, I stated that the New Testament is filled with hundreds of verses explaining and re-explaining the atonement of Jesus Christ. Why is this so if they understood it after one book? Furthermore, there is not one “reference” to Infant Baptism in the New Testament. The Baptist argues that the reason for this is because Jesus or the Apostles did not teach it. The Paedo-Baptist argues that the Jews had a very good idea of infant inclusion in the covenant since every covenant and every dealing with those infants of believing households up until this time did include infants. They would not have needed another lesson on that again – their lessons concerning covenant theology have lasted as long as men have walked the earth, even before that in the eternal Covenant of Redemption between the Father and Son revealed through the Old Testament. Instead, what we find is the New Testament, everywhere, mentioning covenant theology in terms like “households.” This is very strange language for the Baptist to deal with since household is a covenant term the Jews would have certainly understood, and the New Testament church would have required, as Jews, entire households to become part of the church. This is not Baptist Theology at all. In fact, of all the treatises I have read on Baptistic theology in this area, none make good mention, or any at all, on why the term “household” is even used by the Holy Sprit all through the book of Acts if “individualism” (single converts coming to faith apart from familial relations) is now the norm (especially the Greek forms surrounds this word). In referring to the Paedo-Baptist argument from silence, at least I had thought it was from silence, I called it “nonsense.” This was completely unfair as a result of not understanding how Covenant Theology expresses itself all through the bible in terms of familial solidarity (a term I will explain in a paper of its own). Yet, at this point in the Baptist papers I wrote, my positive sanction arguments failed on both my understanding of Covenant Theology and my explicit/implicit arguments that held (hold) no water at all. In my polite demeanor, I then said, “However, there is more cause to go over to Rome and borrow ideas from their will-worship of infant baptism than there is any sanction or mention of it in the Bible.” The Paedo-Baptist did not deserve that remark at all. In fact, as I said in my Prefatory Notes article on this subject, I think men like Howell, Gill, and previously myself, et al., really have no right at all for posing that Paedo-Baptists are Paedo-Baptists because they follow Roman Catholic doctrine, or Roman Catholic ideas about Baptism. In reality, Baptists who make these kinds of accusations have no clue what Covenant Theology teaches. I concluded article 4 by stating that no positive sanctions can be found in the New Testament for Infant Baptism, so as a Baptist, my conclusion was that it should not be followed. I guess I missed the point that nowhere does it mention women partaking of the Lord’s Supper, that tithing is still enacted in the New Testament, and that the Lord’s Day switched to Saturday. But I was sure, under the same guidelines, that we should not believe those evil Paedo-Baptists! A more serious problem along the ideas of “positive institution” arises in my 5th article that seemed to cast away the Old Testament as abrogated, and the New Testament as something altogether “new.” I said, “The old does not flow into the new, the new is a fulfillment of the old. But the old dispensation is done and dissolved. Christ’s new inauguration of His once for all sacrifice marks a new era, a new covenant prophesied by those like Jeremiah. (Jeremiah 31:31)” First, to say that the Old Testament does not “flow into the new” is both vague and mistaken. Of course the Old Testament flows into the New Testament! Otherwise, we could simply ask if Jesus is the Jewish Messiah come to save His people and the answer would have to be “Absolutely Not!” if that was the case. The question surrounds how much of that river flows into the New Testament. I then said, “If infants are going to be baptized under the Gospel, then there must be a positive institution to direct us to this end.” My answer to this is the same as before – why? Who made that rule up? 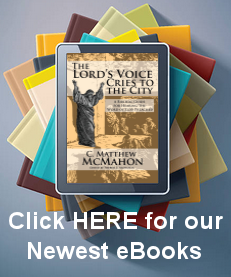 Jesus Christ certainly did not – otherwise his Sermon on the Mount was a complete farce. It was an exposition of the Old Testament moral law. Yes, all our directives come from the Bible, but who says that all our directives for the New Testament church have no bearings directing them from the Old Testament? The only ones who do say this (as Gill, Howell, Shirreff, Booth and others) are the dispensationalists who radically abrogate the Old Testament from the Christian’s life. Are Gill Howell, et. al dispensational? On this point they are, or at least moving in that direction. I really love what I said next, “Rather, Paedo-Baptists would carry us back into the weak and beggarly elements of the Old Testament instead of relying on the Lord’s positive institutions in the New Testament.” Didn’t I just write a whole article previously on why semantic games should not be heeded? I should have listen to what I was saying. Again, I did not take my own advice. The Scriptures, at no time, were ever weak and beggarly. There is a vast difference between “shadows”of Christ exemplified in the Old Testament and those shadows of salvation being “weak and beggarly.” I was quoting Galatians 4:9, which was dealing with salvific issues, but I thought we were dealing with the mode of Baptism here? I then made a ridiculous statement asserting, “Where is the beginning of the Gospel times? Is it in the Old Testament? I think not.” Hmmm. Did the same Messiah save Abraham that saved us? Moses too? How about David? Is the text in Genesis 3:15 the “proto evangelium?” Is the shadow of Christ seen in the Old Testament? Of course it is – how else are men in the Old Testament saved? But, if Mark 1:1 says it is the “beginning of the Gospel” then were did I go wrong? I went wrong in thinking that Mark referred to the entirety of redemptive history rather than simply understanding the beginning of Jesus’ earthly ministry. I then said, “The Gospel and its distinctives begin with the Lord Jesus Christ; not under the Old Testament.” If this were really true, and the fullness of the Gospel is not mentioned in the Old Testament, then Baptists would never quote passages like Jeremiah 31, and nor would the writer of Hebrews – not to mention we have a huge problem with Paul referring to Abraham as the father of our faith! I then said, “We are not listen to the Old Testament prophets concerning positive institutions, but the new Prophet Jesus Christ.” This is simpleton nonsense. For example, the Regulative Principle alone is found all through the Old Testament and founded there. How could I have said this? Lastly, I mentioned the authority of the Apostles. I made an argument asserting that unless the Lord, or His Apostles, directly teaches us New Testament directives, then we should not be following the Old Testament shadows. New Testament positive institutions make way for New Testament worship and living before God; or so I thought. I asserted these concluding remarks: “Have they forgotten the Lord’s directives in this manner? Have they left undone that which they were commissioned to accomplish? Have they been careless? Rather, we ought to be asking this question of Christ and the Holy Spirit. Has Christ the Prophet and the Holy Spirit, the Author of the Biblical record, been careless to bestow on us all which pertains to life and godliness? I think not. The Lord Jesus Christ has blessed His church with every command, and every Scripture that we may draw out the principles of acceptable worship before Him in the Bible and most particularly in the New Testament for those positive institutions. Nothing has been forgotten, or neglected to be said. On these grounds alone, Paedo-Baptism ought to be rejected in every way as that which is foreign to the Biblical record.” This makes no sense at all, and if I had really thought about what I was saying I would have caught it. As I mentioned before, nowhere does the Lord or His Apostles direct us to allow women to partake of the Lord’s Supper; nowhere do they direct us in the tithe (they certainly direct us in the offering); nowhere do they direct us on the Lord’s Day; nowhere do they direct for the appropriate time, place, or sundry parts of worship. We find hints here and there about the manner in which the early churches worshipped, or regarded the Lord’s Day, or etc. But nowhere do we have positive sanctions about the manner and mode of that worship in any kind of specific details. The Bible never says, “at 9:00 have a 1 hour worship service that is made of up “x, y and z”, etc, etc. No, the New Testament lends us the grace of Christian prudence and from there we deduce ideas and consequences to a compilation of New Testament forms concerning worship. But we adhere to the good and necessary consequence of those ideas formulated within the Regulatory Principle of the Church. In both of the articles I had previously written, my intention was to prove without a doubt that positive New Testament sanctions are the norm and requirement for New Testament churches. This is a half-truth. Certainly those aspects of New Testament theology that help us explain and understand the Scriptures as quoted by the Apostles and our Lord (Old Testament theology fulfilled according to most of the New Testament writers) are necessary to the New Testament church. But so are all the varied principles that stretch all through the Old Testament to be applied to the New Testament church. The church is not just a New Testament church, but and Old Testament church as well. Without having a foundational and firm grasp of the Old Testament principles of worship, salvation, Messiah, song, prayer, prophetic utterance, regeneration and the like, a solid New Testament understanding will never take place. Jesus rebuked Nicodemus in John 3 for not understanding the basics of regeneration and the sovereign move of the Sprit on a soul. He rebuked him because teachers of Israel should understand the Scriptures, the Old Testament, and all that it taught concerning salvation. A circumcised Jew should have known what regeneration was all about because it was symbolized in the Old Testament “sacrament” of circumcision. But with bad exegesis faulty Old Testament concepts will always give way, and New Testament replacement theology takes place. That is called Dispensationalism (not Paedo-Baptism) and should also be cast far from us.